I've heard about it and I want to try it! Love this product! works great. I love this product! My daughter had terrible irritation and nothing I tried would help. My friend told me about this cream and it works like nothing else. I'm never without any!! Excellent product! 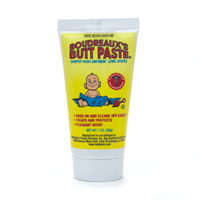 I use it on my daughter and it really works. I love it for so many different reasons. Awsome...never a rash to be seen!